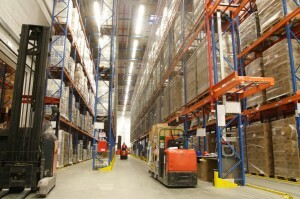 With continued pressure for cost reductions and improved customer service, it’s also one of the most critical measures of warehouse productivity. Activities such as material handling, order fulfillment and freight loading/unloading, are dynamic and therefore can be difficult to measure. Fortunately, we can help you by leveraging technologies to assess labor activity for similar warehouse tasks capturing an accurate measure of your labor productivity. Alternative Technologies will help you gain visibility to all essential warehouse activities, identifying areas of needed improvement and the methods you’ll need to improve cycle times and reduce costs.